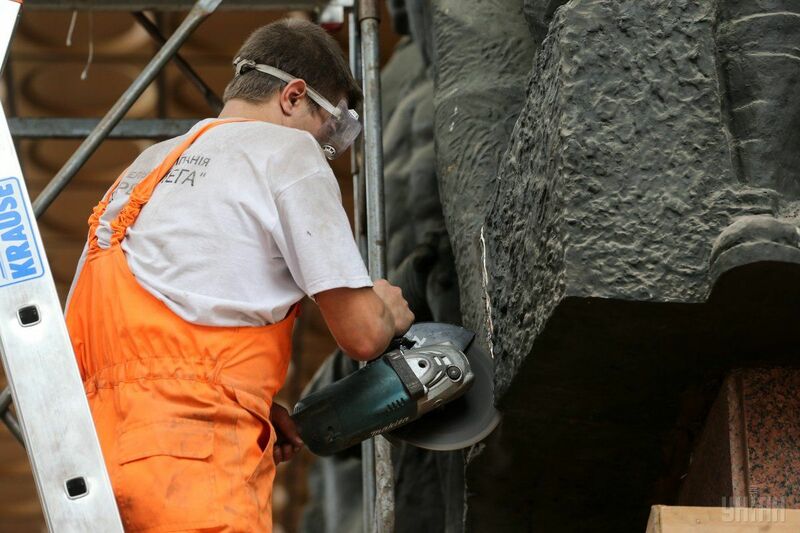 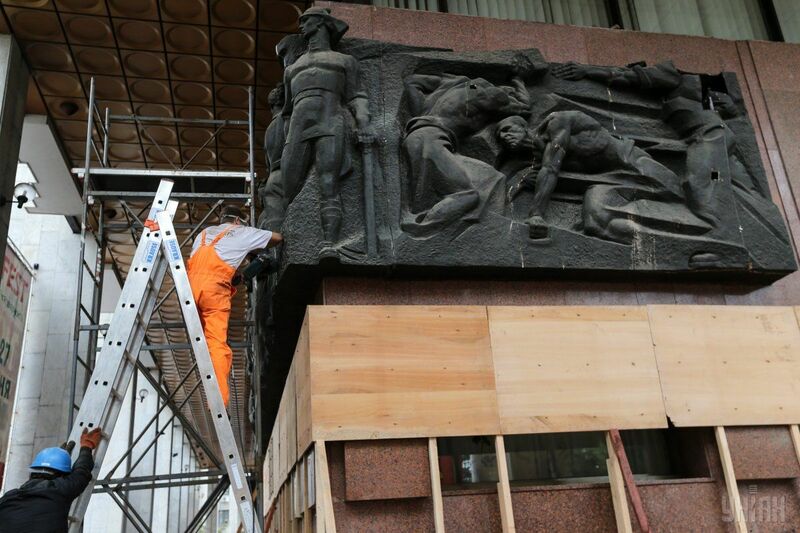 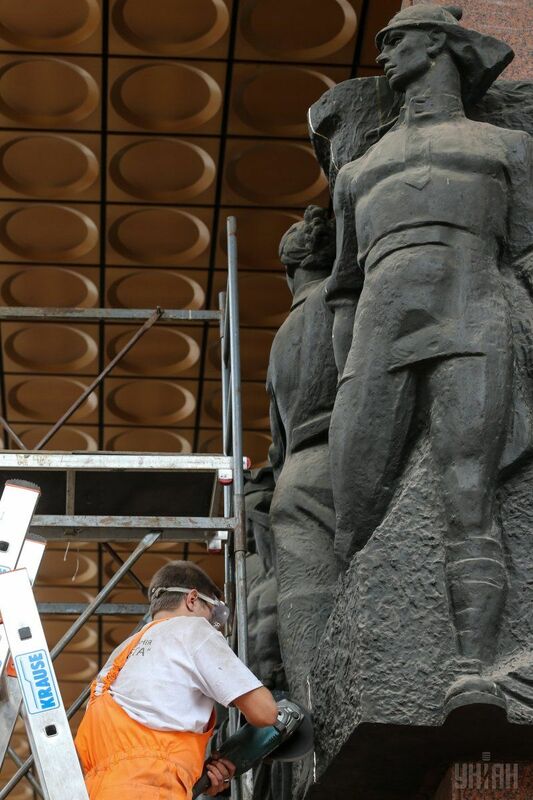 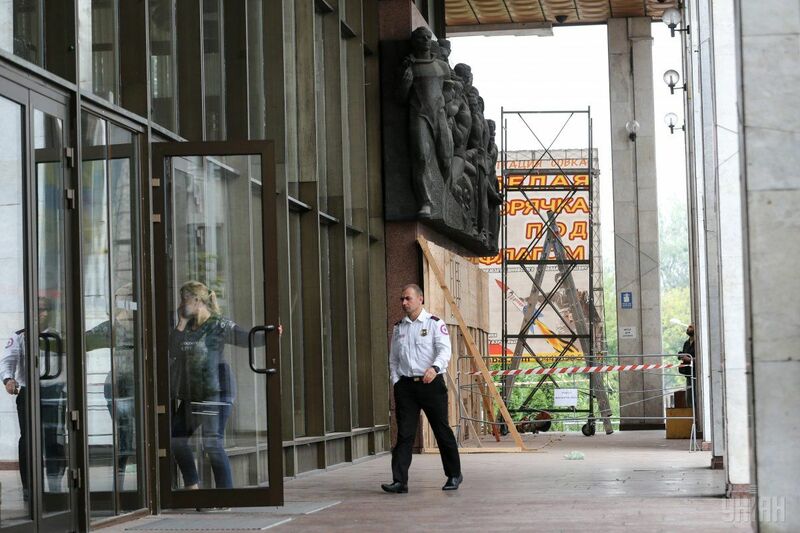 Kyiv municipal services began dismantling Soviet-era bas-reliefs from the Ukrainian House's façade on August 18. 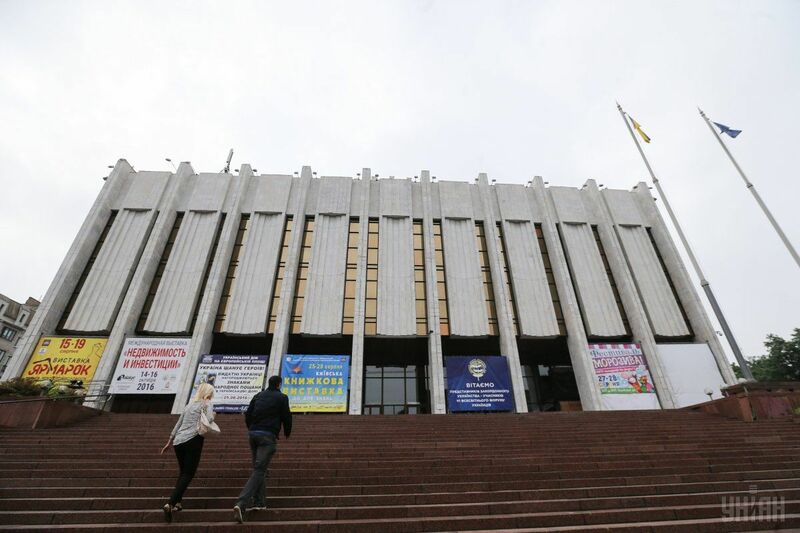 Ukrainian House Director Yuriy Stelmashchuk told Cultprostir that the Soviet insignia was being scrapped in accordance with the de-communization law. 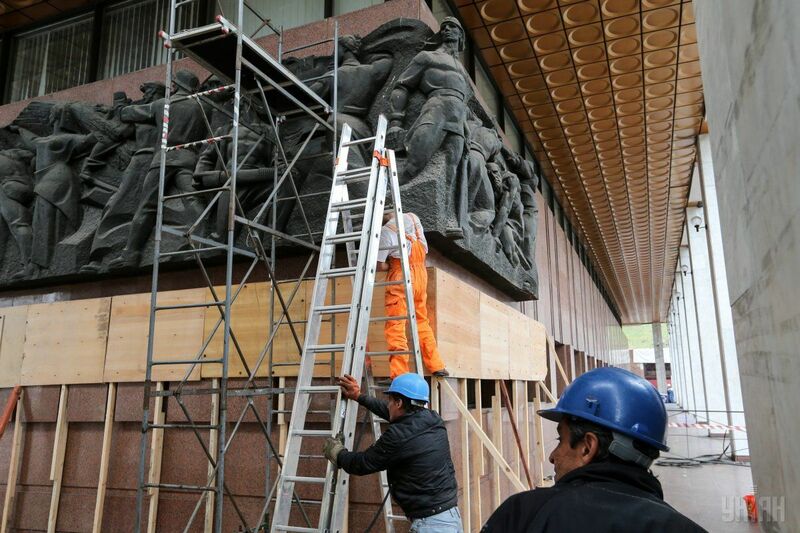 He said the bas-reliefs would be transferred to the museum of totalitarianism. 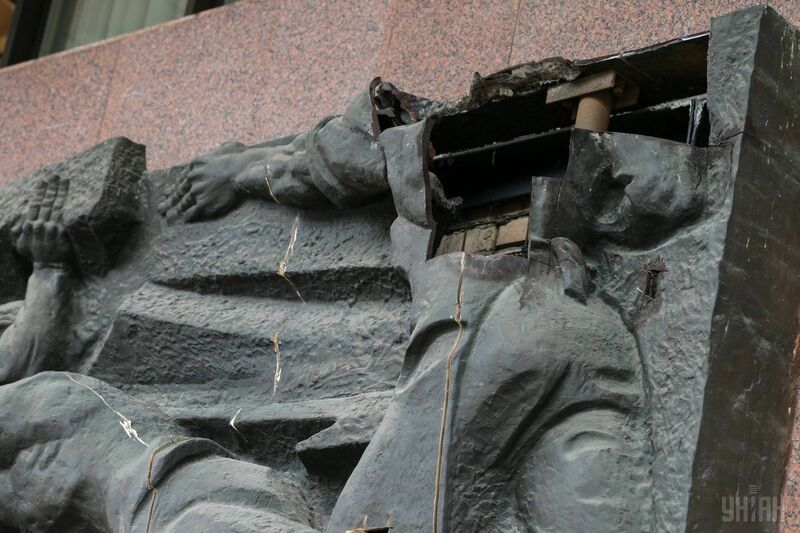 "Given that we are a state-run enterprise, the Soviet symbols will be replaced by national symbols, namely yellow and blue flags, covered with phosphorus and special types of paint that will glow in the dark," he stated. 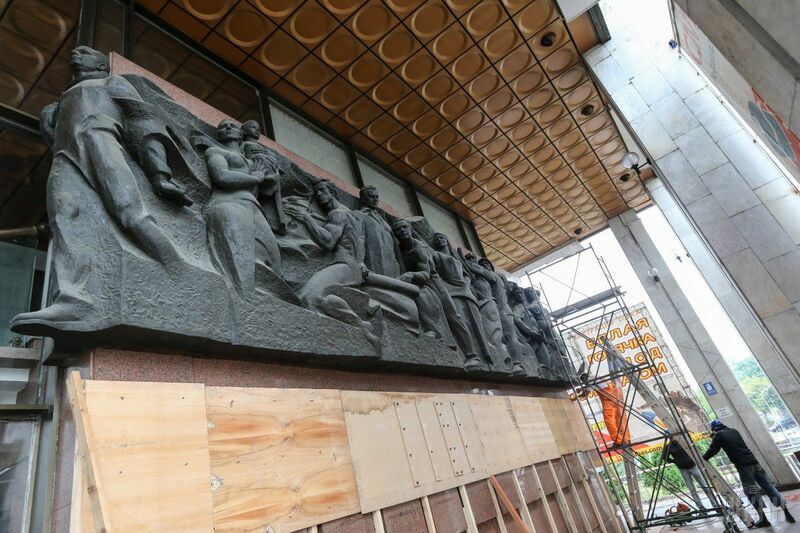 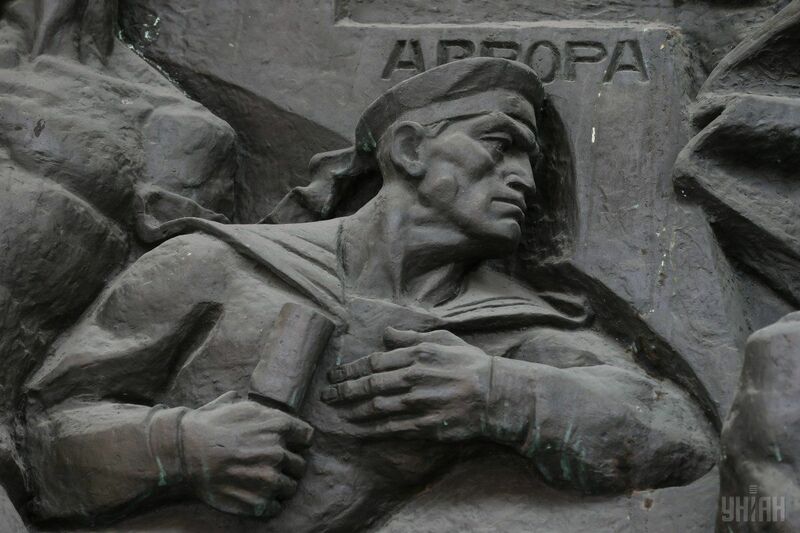 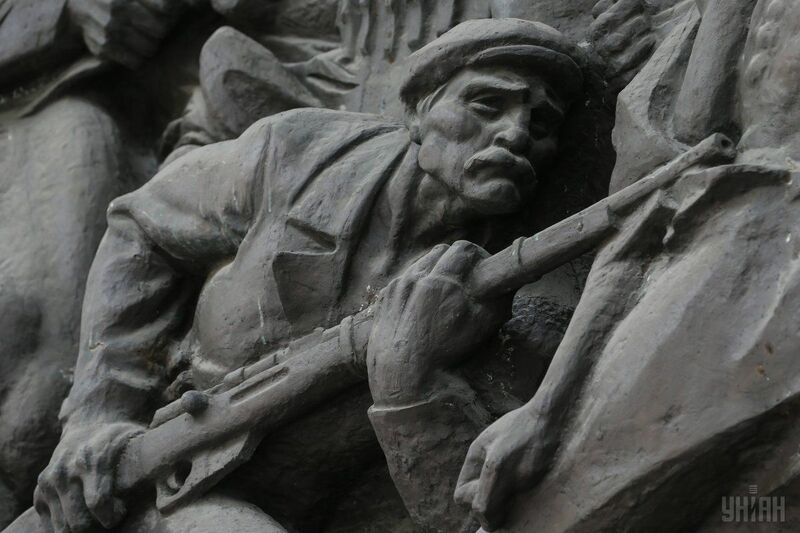 The bas-reliefs of the Ukrainian House depict proletarians. 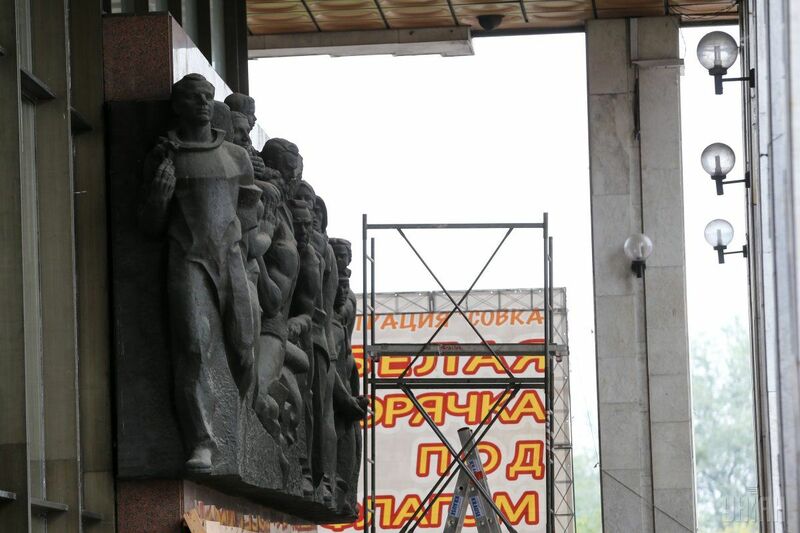 A monument to Vladimir Lenin was earlier at the center of the composition. 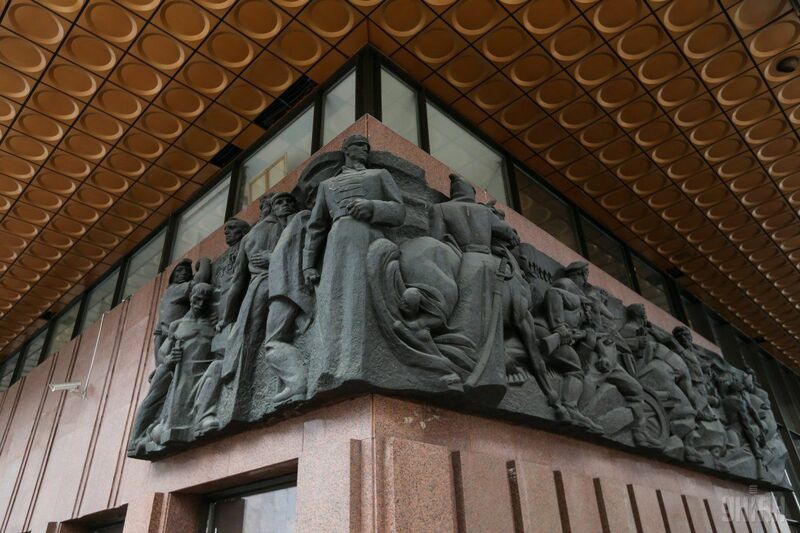 During the Soviet era, the museum displayed material documenting Lenin's life.